Mitsubishi Motor Company (MMC) will celebrate two debuts at the Geneva International Motor Show on March 6. In addition to the European premiere of the Mitsubishi e-Evolution concept, it will have the global premiere of the new 2019 model year Mitsubishi Outlander PHEV. The latter will be introduced to the European market towards the end of the year. 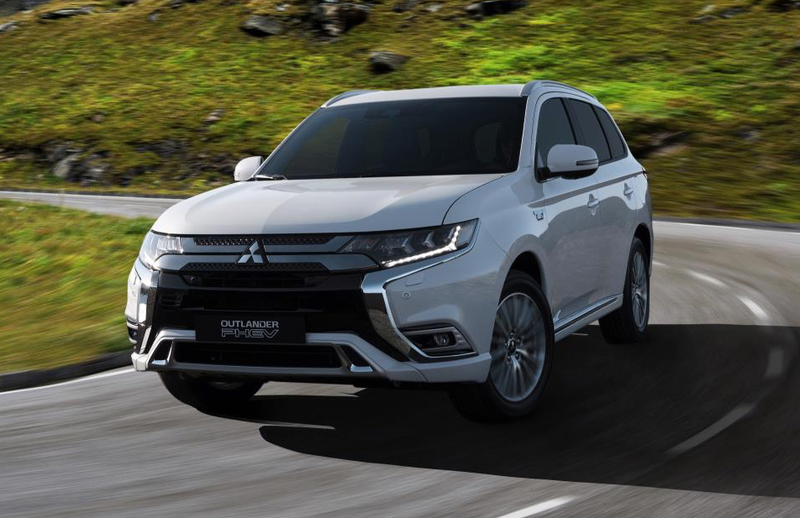 Mitsubishi says that both the new Outlander PHEV, and the e-Evolution concept embody the cutting edge technology and expressive design that the Japanese carmaker is making its own. They also express, each in their own way, MMC’s product strategy as part of the brand’s ambitions. This is a carefully crafted blend of SUV expertise and electro-mobility technology, augmented with state-of-the-art system integration technologies for a progressive driving experience. In 2013, and drawing on a background of 80 years of 4WD expertise, 50 years of electro-mobility R&D, and 30 years of rally winning all-wheel control technology, MMC launched the segment-defining Outlander PHEV plug-in hybrid electric Twin Motor SUV. MMC did so ahead of other car manufacturers. Since then, boosted by positive market response and supported by continuous improvement, the Outlander PHEV has turned from a vehicle for early adopters into MMC’s core business. The Outlander PHEV has been Europe’s best-selling plug-in hybrid vehicle in 2015, 2016 and 2017*2. More than 100,000 units have been sold in Europe so far. With cumulative sales of over 140,000 units worldwide, the Outlander PHEV is classed as the world’s best-selling plug-in hybrid SUV. Bringing together the very best of MMC technology, the Outlander PHEV is MMC’s flagship model. Its PHEV technology delivered important breakthroughs in cruising range, still a bottleneck in the EV category. The Outlander PHEV is the answer to customers who want to extend the range of their EV car journeys, and who want to go on other adventures rather than hunt for chargers. The 2019 model year Outlander PHEV features a next generation system with both EV and SUV breakthroughs. Mitsubishi promises more SUV and more EV than ever, the newest iteration unveiled in Geneva will push boundaries even further with, amongst others, a complete redesign of its powertrain, with sharper dynamics, a more refined interior, and a subtle design evolution.